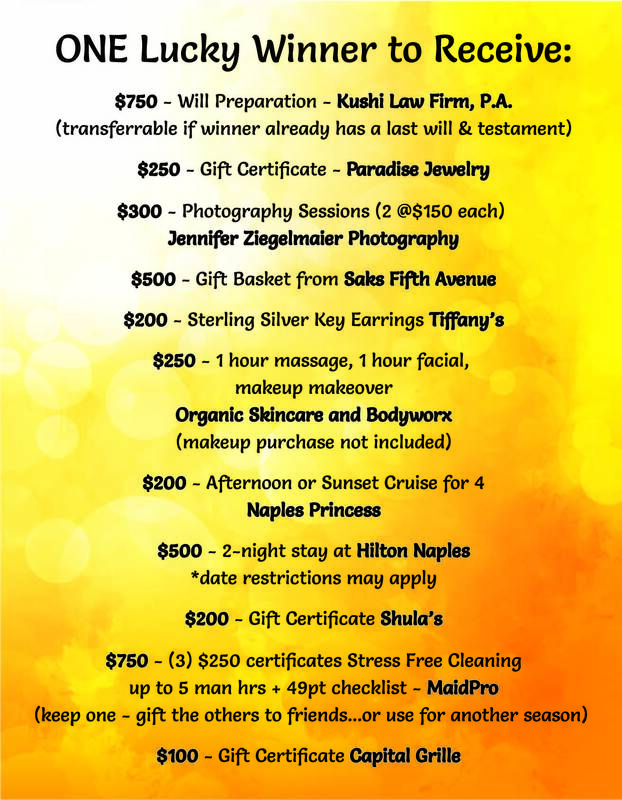 is pleased to announce our fabulous Personal Pamper Package Raffle! ONE lucky winner for $4000 worth of great products and services! Raffle is from January 22 to NOON on April 23. Winner’s ticket will be pulled at our April 23 monthly meeting at the Hilton, Naples. Ticket holders do not have to be present. Tickets can be purchased directly through any ABWA Neapolitan member or through the Eventbrite link below you can copy into your browser. Purchasers through Eventbrite will be acknowledged and emailed a picture of the ticket stub completed for the drawing – with ticket number and purchaser details.